Zabinski Music Studio is proud to begin offering online classes! Below is a list of classes in the works. Classes with a live link are available for registration right now. Please Contact Us if you would like a special reminder when a particular class becomes available or if you have any questions! 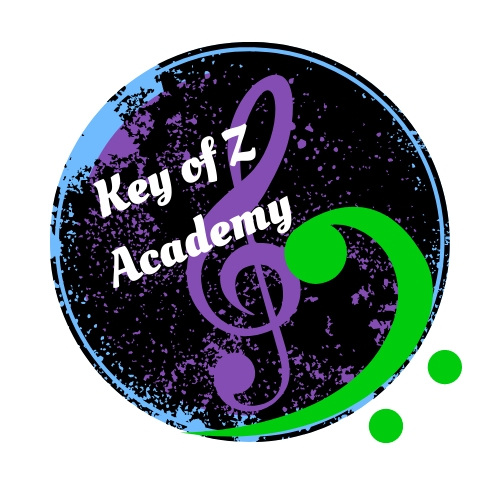 All classes are 10 weeks long with opportunities to progress at your own pace, upload videos of your playing for professional and peer review and access to discussion forums to communicate with fellow students for advice and encouragement. Basic Piano (classes begin March 4, 2019)- get the absolute basics of playing the piano. This class is designed for individuals with little to no musical training. Learn the basics on reading notes and play basic songs with both hands. The course teaches 40+ songs in 10 weeks, ending in the student playing a basic song with both hands playing at the same time. Basic Piano 2 - Additional reading instruction is given for more notes and musical symbols. The student will play slightly more complicated songs, have an introduction to the pedal and be challenged with more complicated right hand and left hand rhythms and coordination. This is an easy progression for those who have completed the Basic Piano course, or have completed a basic piano program. Elementary Piano - This course continues to build on the basics laid out in the previous courses. Longer, more complicated songs are introduced in several keys. Students will learn basic chord theory (I, IV, V7) and apply theories with the left hand to build rhythms and accompaniment to melodies on the right hand. Western style rhythms are explored and reading outside of 5-Finger hand position is explored. Ear Training - a great course for all music students.Using popular and folk songs, students will study the basic musical intervals and learn to analyze songs using these intervals. Students who complete the course will be able to compare 2 note intervals to known songs and use this knowledge to identify common intervals in music. Singing Audition Prep - a great course to prepare students for a variety of singing auditions. Students will be introduced to a variety of possible audition songs as well as warm up exercises and will choose a song to prepare for an upcoming audition. All students will then be provided practice accompaniment and will participate in peer review of fellow students as well as receive feedback from teachers experienced in a variety of auditions.